In a global first, Virgin Trains today becomes the first travel operator worldwide to sell tickets through Amazon Alexa. 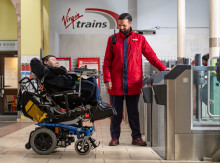 With the launch of this innovative collaboration, customers can now book Virgin Trains Advance Single tickets using just their voice, via Alexa-enabled Amazon devices, including Amazon Echo1. The new functionality enables users to book tickets with Alexa using Amazon Pay in one simple voice-based transaction, making Virgin Trains the first travel company in the world to sell tickets this way. The launch follows the unveiling of the Virgin Trains skill for Amazon Alexa in November last year, which allows customers to enquire about rail information by asking Alexa. To mark this moment, Virgin Trains on the West Coast is offering free First Class upgrades to any passengers named Alexa travelling on their routes between 3rd May- 15th June 20182. 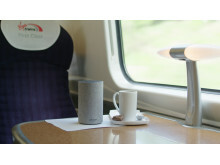 The skill for Alexa is part of Virgin Trains’ ambition to work in a digital railway and is one of a range of innovations introduced to increase customer satisfaction before and after journeys, as well as on board. This includes industry firsts such as mobile ticketing, automatic compensation for delays3and free on-demand entertainment app BEAM. The Virgin Trains skill for Amazon Alexa is part of a host of digital projects that will offer Virgin Trains passengers the most innovative and forward-looking customer experience, whilst providing a comfortable and smooth journey from beginning to end. To celebrate this launch, Facebook fans of Virgin Trains on the West Coast will be in with a chance to bag themselves an Amazon Echo device4. From 3rd to 5th May, Virgin Trains will be sending Alexa to a range of destinations along the West Coast route; fans will be challenged to guess the destination from a series of clues, which will be revealed in three Facebook videos. Both East Coast and West Coast customers who book train travel via the Virgin Trains skill for Amazon Echo between 3rd May and 23rd May will also be entered into a prize draw to win an all-inclusive Virgin Holiday for four in Antigua5. 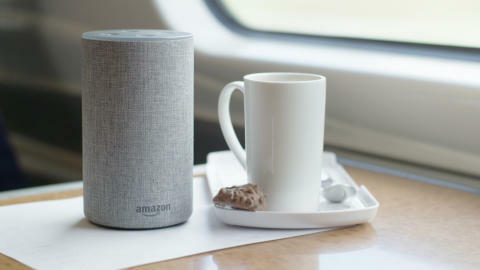 The Virgin Trains skill for Amazon Echo was created using the SilverRail engine, a market leader in travel technology, to ensure the flow of data into the rail system is consistent and accurate, and the booking reservation is fulfilled. 6These are example advance fares, with fares each way between the two destinations and London. Available 12 weeks out. 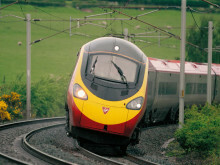 On the East Coast route, £140m is being invested to create a more personalised travel experience. We have already invested over £40m in our existing fleet, including £21m refurbishing interiors and £16m towards improving the engines of our trains. Customers can now benefit from 48 additional services between Edinburgh and London every week, and an extra 22 Saturday services between Leeds and London – a total of 1.74 million additional seats since May 2015. 2018 will see the introduction of completely new Azuma trains being built in the UK by Hitachi. Amazon Alexa lives in the cloud and is always getting smarter, delivering new capabilities to your device automatically. The more you use Alexa, the more Alexa adapts to your speech patterns, vocabulary, and preferences, with new features continually being added. Ask Alexa to answer questions, play music, hear the news, get weather and traffic reports, control your smart home, and more. SilverRail's technology is purpose built for rail. Our product suite spans the full customer experience: journey planning, ground transportation services, inventory management, scheduling, pricing, booking, payment, ticketing, reporting and administration. Expedia Inc, one of the world's leading travel companies, acquired a majority stake in SilverRail in June 2017. 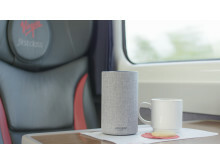 Customers who require travel assistance on Virgin Trains are set to benefit from a new feature on the Virgin Trains skill for Alexa, which allows them to request it using basic voice commands.